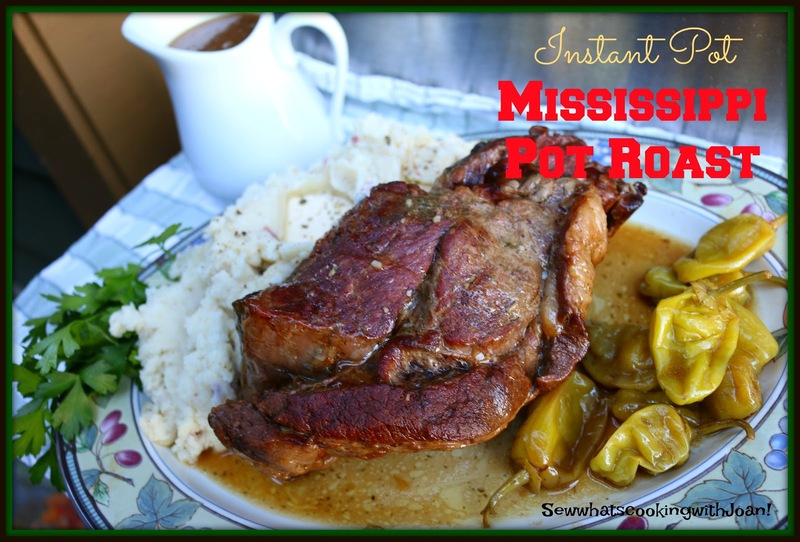 Mississippi resident Robin Chapman is the star behind the Mississippi Roast, a slow-cooking dish with surprisingly simple ingredients that was one of the most popular recipes on the Internet a couple years ago. I wanted to update this slow cooker version to the Instant Pot and the experimenting began. Still just as tender and delicious and instead of 8 hours in the slow cooker, 90 minutes in the Instant Pot with a 20 minute natural release. So, depending on your schedule, you could do this in the IP when you get home from work, or start in the morning in the slow cooker. If you want the slow cooker version of this recipe please go to this link! Pat the roast dry with paper towels. In the Instant Pot press saute and adjust to hot setting. 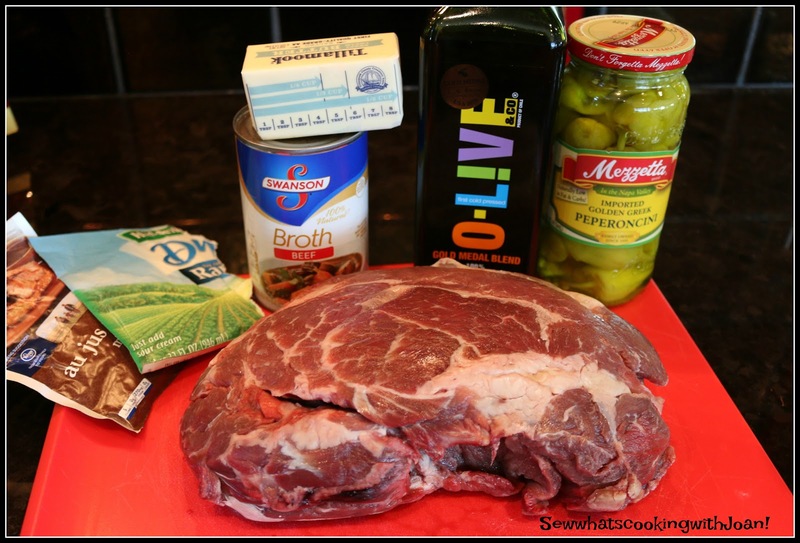 Add the olive oil and heat, put the pot roast in and saute on both sides, using tongs to turn. 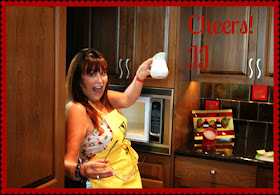 Sprinkle the Beef au jus mix and the ranch dressing over the roast, add the butter, beef stock, peppercini's and juice. Put the lid on the IP and close, close the valve and put the pot to high pressure for 90 minutes. Use a natural release for 15 minutes. 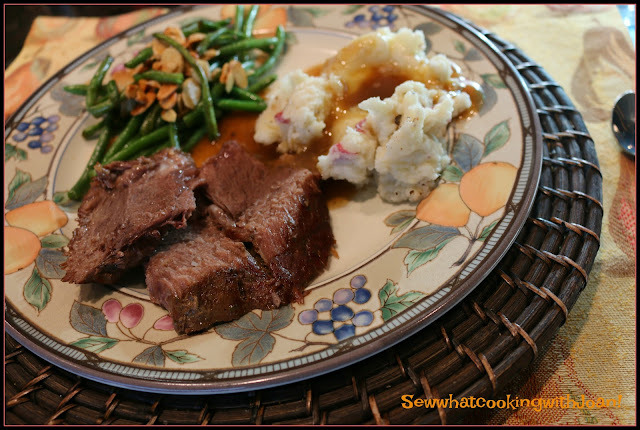 Remove the pot roast and peppercinis to your serving platter and cover with foil. Turn the IP to saute. Make a slurry with the corn starch and 1/3 cup water. Add the slurry to the instant pot "pot roast" juices. Thicken. I served with smashed potatoes and green beans with almonds. If you want the slow cooker version of this recipe, please go to this Link! For more Instant Pot Recipes please click on this link Master Recipe List. And scroll down to Instant Pot Recipes! Halloween was super fun for us this year! 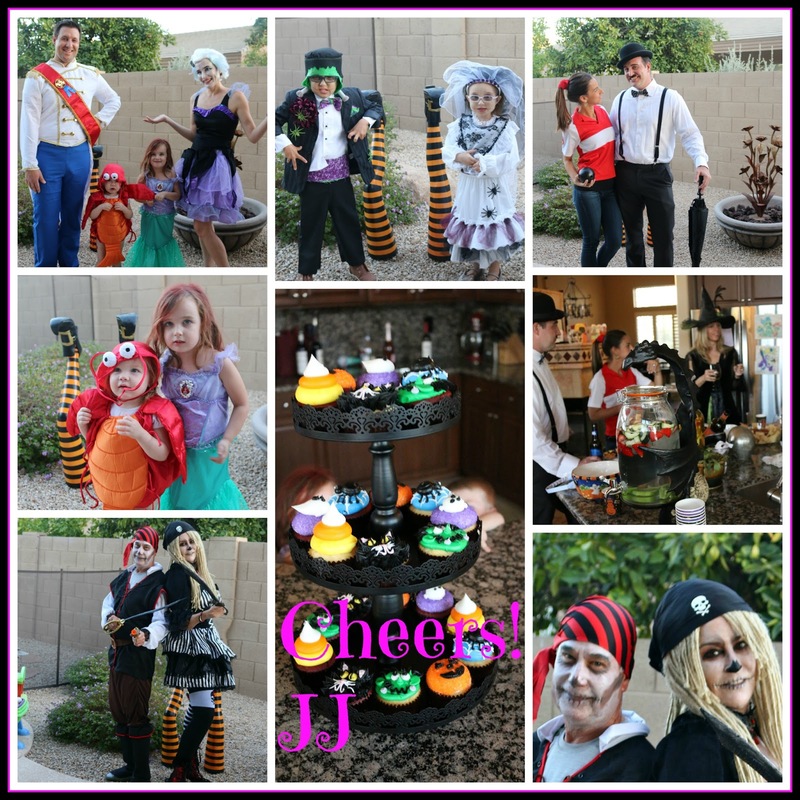 My daughter had a children/adult party. And on Halloween we went trick or treating with two of our grandchildren! Good times and memories! We love this recipe...it's become a favorite for when our adult kids come over for family dinner Sunday - and there are never leftovers!